The brave new world of coffee? Think genetics. UC Davis geneticist Juan Medrano is known for his research on the genetics of milk (and the effect it has on humans), but recently has turned his research efforts towards coffee. The goal is to understand the variability of coffee genes at the DNA level. This would allow Medrano and others to accurately identify genetic forces that contribute to certain flavors as well as the crucial factor of disease resistance. The key is to identify the gene regulators that are related to flavor and other qualities, such as how coffee feels in the mouth. Gene regulators are involved in controlling the expression of other genes. Other variables, like altitude, can be crucial in coffee growing. Coffee flavor and aromas change significantly with changes in altitude, as temperature and microclimates vary greatly. The higher-altitude coffees are generally of better cupping quality, Medrano explains. Do spoilers really ruin stories? Coffee is a science on its own. The active ingredient in coffee is caffeine, which is a stimulant and the most commonly consumed psychoactive substance in the world. Caffeine’s primary mechanism in the brain is blocking the effects of an inhibitory neurotransmitter called Adenosine. By blocking the inhibitory effects of Adenosine, the caffeine in coffee actually increases neuronal firing in the brain and the release of other neurotransmitters like dopamine and norepinephrine. Many controlled trials have examined the effects of caffeine on the brain, demonstrating that caffeine can improve mood, reaction time, memory, vigilance and general cognitive function. Bottom Line: Caffeine potently blocks an inhibitory neurotransmitter in the brain, leading to a net stimulant effect. 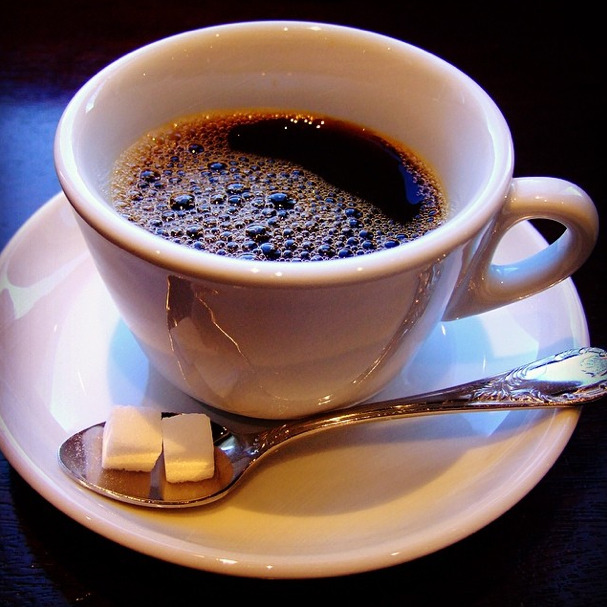 Controlled trials show that caffeine improves both mood and brain function. Yes I fully agree that coffee is a stimulant and although savouring that cup and enjoying the aroma can increase ones mood due to the release of dopamine, there is much controversy around the active ingredient found in coffee. This active ingredient, namely caffeine can have both positive and negative effects on the people consuming it in the form of coffee. Caffeine is addictive and one may experience withdrawals symptoms such as nausea, depression and vomitting if one stops taking it. Caffeine is a drug and should be treated as just that. However, having one to two cups of coffee a day may be beneficial. Many studies have proven that consuming coffee can reduce one’s risk of acquiring diabetes because the high intake of caffeine causes a better tolerance to glucose. Coffee consumption can also improve memory therefore it is a benefit to people suffering from Alzheimer’s disease. Understanding the variability of coffee genes at a DNA level. Coffee brewing is a simple process that can be tweaked in a number of ways such as grinding time, brewing time, temperature, turbulence and ratios resulting in a variety of flavour and aromas of coffee. According to a video posted by Jenny Woodward on APR. 12, 2013, Concocting the Perfect Cup of Coffee, there are four steps to brewing cofffee. Step 1: Cupping a technique to evaluate flavour and aroma profiles of coffee. Step 2: Aroma, when adding water of high temperatures with particles containing lots of kinetic energy to collide with the particles of the coffee bean, allowing the maximum amount of fragrance to be released. Step 3: The Break, which is the opening of the top layer of crust formed by left over particles of the coffee bean. Under the crust there lies aromatic gases, which are released when the crust is removed. the leftover foam which is made of carbon dioxide cellulose that tastes bad is then removed. Step 4: Taste, which is done in a slurping manner and then spat out to avoid a high intake of caffeine. These steps are done to taste for four qualities of the coffee, acidity, flavour, body and aftertaste. Understanding the variability of coffee genes at the DNA level will allow more control over the flavour, aroma and over all quality of coffee. As the brewing process will be more concentrated allowing less variation and a better cup of coffee.